UAB doctors from 39 specialties and 179 subspecialties were recognized.University of Alabama at Birmingham doctors make up more than half of Alabama physicians named Best Doctors in America 2017-2018, with 350 from the UAB Health System peer-selected to the list. 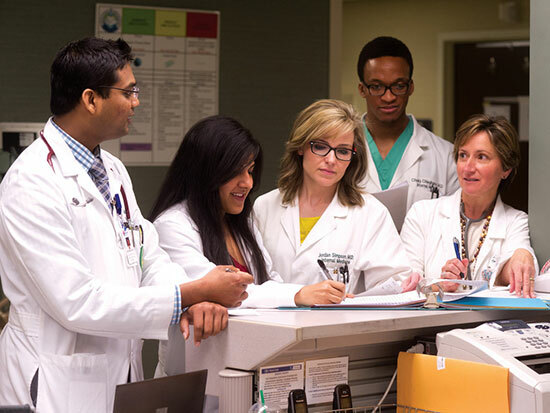 Best Doctors in America recognized UAB doctors from 39 specialties and 179 subspecialties, with the total number of national physicians included reflecting only 4 percent of doctors in America. The only way for a physician to be selected is to be peer-nominated and voted in by current Best Doctors winners. Best Doctors is a global benefits provider and medical information services company that connects individuals facing difficult medical treatment decisions with the best doctors, selected by impartial peer review in more than 450 subspecialties of medicine, to review their diagnosis and treatment plans. Best Doctors prides itself on having more than 40 million members worldwide. See the full list of UAB physicians here.